I'm glad you all enjoyed previous smores post! 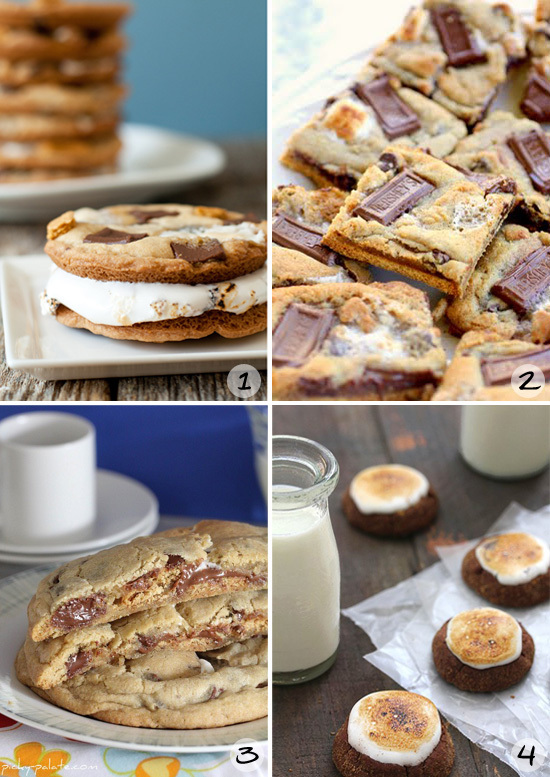 I ran across these various smore cookie recipes and though...what a great way to continue making smores all year long even if you can't always have a bon-fire! All of these cookies look delicious and I can't wait to give them a try! Which one looks the yummy-est to you?